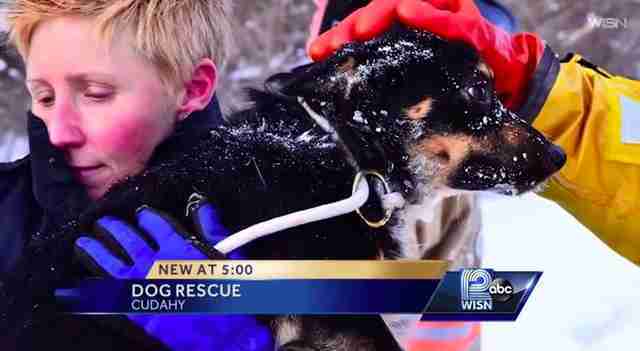 After a treacherous rescue from the ice of Lake Michigan, one lucky pup is safe, warm and back with her family. 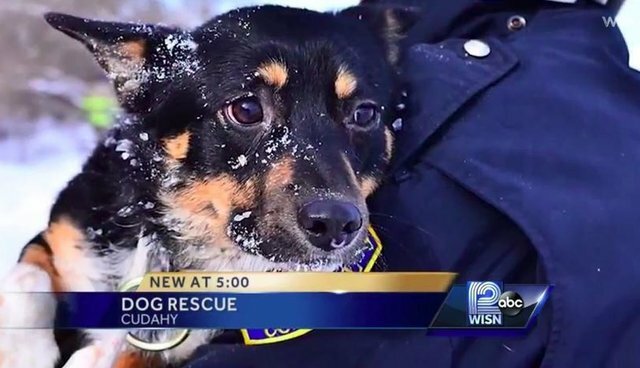 A 2-year-old dog named Genevieve had already been out on the ice for hours when someone finally spotted her off the shore of a park in Cudahy, Wisconsin, local station WISN 12 reported. The Good Samaritan, who had gone out to take photographs of the frozen lake, quickly alerted authorities that Genevieve was in dire need of a rescue. She had apparently run away when her owners let her outside that morning, according to Fox 6. 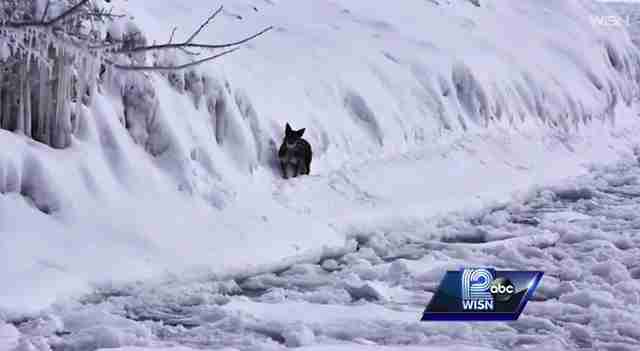 It took rescuers from Milwaukee Area Domestic Animal Control and the local fire department almost five hours to save Genevieve, who was stranded about 150 feet from the shore. At one point, things got a little hairy. "Toward the end, she kind of took a leap of faith, and it was not a good one," rescuer Robin Stoiber told WISN. "So we're glad they were there because they kind of scooped her up from where she got stuck luckily, and then we finally got her after all that." Just like humans, things can go downhill quickly for pets who are outside in the cold winter weather for too long. Here's a list of helpful tips to keep your dog safe in the cold. If you see an animal in need, call your local animal control. After warming up in the care of Milwaukee Animal Control, Genevieve was returned to her family. They'll probably be keeping her away from the lake until spring.